Regular: 14 (W) x 33 (H) x ¾ (D) DID YOU ATTEND THIS WORLD SERIES? If so, have your ticket made into a Personalized Mega Ticket. It's a one-of-a-kind item that will capture the memory of being there. We can create a Personalized Mega Ticket featuring your Section, Row, and Seat ($20 additional cost). Officially licensed by MLB®, Mega Tickets® are sports history turned into unique wall art. They are created from actual game tickets, enlarged approximately 500%, printed on archival canvas and hand wrapped on wooden stretcher bars. Perfect for autographs. 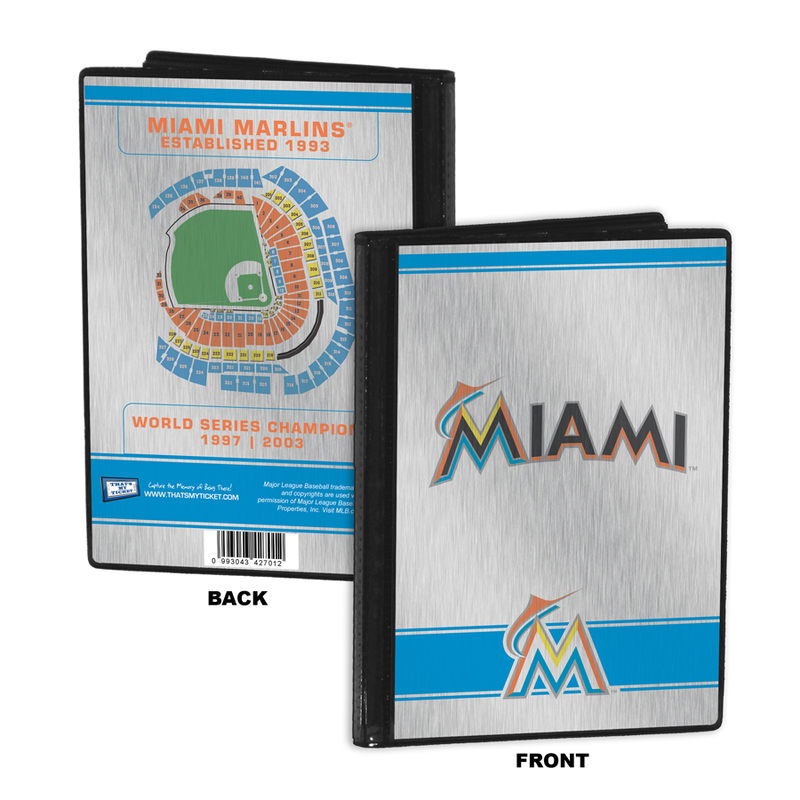 In 2003, the Florida Marlins brought the World Series trophy home to the Sunshine State for the second time in seven years. Josh Beckett was named World Series MVP as the Marlins beat the New York Yankees in six games. We offer a Game 3 and Game 5 Mega Ticket to commemorate the championship. DID YOU ATTEND THIS WORLD SERIES? If so, have your ticket made into a Personalized Mega Ticket. It's a one-of-a-kind item that will capture the memory of being there. 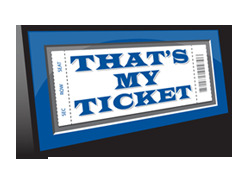 We can create a Personalized Mega Ticket featuring your Section, Row, and Seat ($20 additional cost).